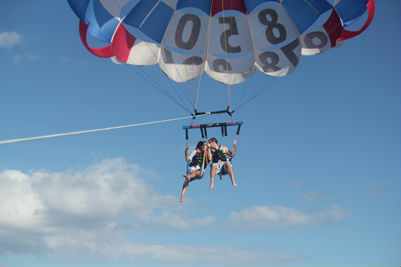 • Please call 850-269-0021 for current parasailing pricing! • No Fuel Deposit - We include the gas! These prices are all inclusive no additional charges like gas, launch fee, life jacket...etc. and make a reservation with a deposit over the phone. This deposit will be credited to the rental fee at the time of registration. This is a non-refundable deposit due to the limited season and the demand for watercraft.